Nine signs news cricket deal, buys Adelaide affiliate. Nine has secured international cricket rights in a new 5 year deal with Cricket Australia. Under CEO David Gyngell Nine has matched TEN’s audacious deal worth around $500m, creating the biggest deal in cricketing history. 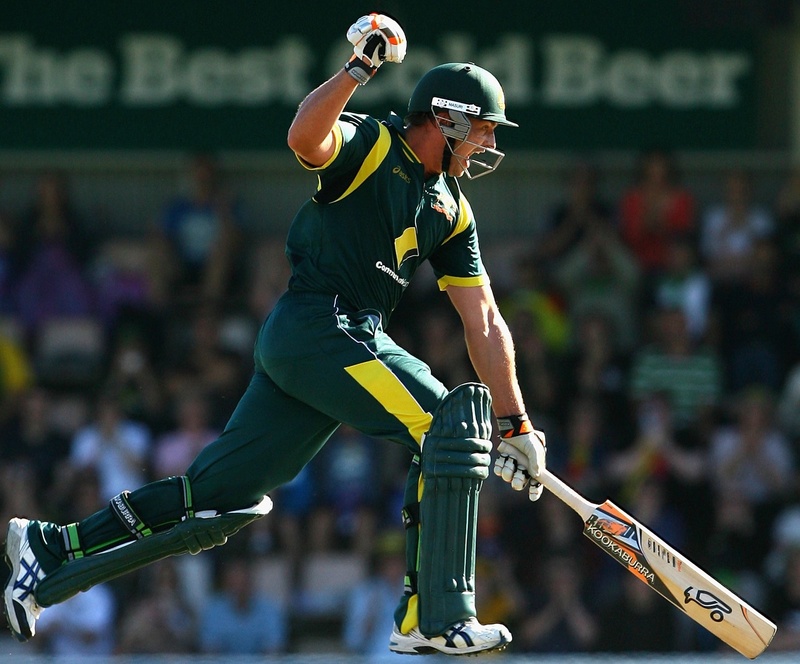 But TEN wrests the Big Bash Twenty20 from FOX Sports. Nine is understood to have signed the deal at 4:10pm this afternoon, 50 minutes before the 5pm deadline. Nine will pay about $80 million a year, while TEN will pay about $20 million a year for the Big Bash Twenty20 tournament. Pivotal to Nine’s deal were negotiations with Bruce Gordon for WIN affiliates in Adelaide and Perth. Nine will purchase Adelaide affiliate immediately and after the reach rule is expectedly dropped, the Perth affiliate. That deal is reportedly $350m. Meanwhile WIN will increase its license fees for Nine content broadcast regionally, helping to offset the increased costs for the cricket. Nine will also save costs by streamlining other departments as a result of the acquisitions. TV Tonight understands WIN has increased its license fees from 33% of revenue to 39%, higher than the 30% Prime pays to Seven. The outcome, once the reach rule is dropped under the next government, means Nine will become a truly national network, allowing Nine to directly address under-performing stations in Adelaide and Perth. The cricket deal is not yet formally announced by Cricket Australia, tipped to take place tomorrow. But it is already detailed in media. Executive Chairman of WIN, Andrew Gordon, has confirmed the sale of Nine Adelaide and the renewal of licenses with Nine. “WIN, as Australia’s largest commercial television network has never been in better shape and the sale of Channel 9 Adelaide will enable WIN to take advantage of opportunities in a continually evolving media landscape both in Australia and globally,” he said. “On behalf of the Gordon family, I would like to thank the WIN management team lead by Andrew Lancaster, who have worked diligently over the last few months to provide WIN with a new affiliation agreement that meets our business objectives now and into the future. The outcome for Nine, with cricket rights and a new national network, defies observers who thought Nine would lose out after TEN’s mammoth bid. But WIN billionaire Bruce Gordon may face some tough questions from TEN, after his deal with Nine stopped TEN from landing the cricket rights. Gordon is TEN’s largest shareholder. I have caught up on my media reading. Even last weekend pundits were tipping Gordon to want at least $500m for Perth and Adelaide that he wouldn’t sign an affiliation if there was an increase in fees to Nine. Without the cricket, The Voice and The Block Gordon’s position was a lot weaker than people thought. @unclepete. to say that non popular/non mainstream sports coverage or lack there of do not have any bearing on a current broadcast negotiations on a sport which is more popular is ridicilous. Ten also dumped the AFL apparently it was too expensive. I understand the circumstances but a sports organisation needs to take into acount how other sports are treated by a tv network, when negotiating there rights with them. In this day and age of social media where everyone can have there say then it does matter. Because if a sports organisation like CA or TA or AFL or ARL or ARU or BA or NA, decide to go with a network who is likely to treat there sport with content they can expect alot of backlash and disgruntled comments. So in the long run that particular sports orgnanisation ends up have a bad reputation and gives other sports organisations a chance to snap those would be fans up, considering australia is a very compeititve sports environment for eyeballs and fans and partcipants then it does matter, when you take alot of money and then your sport is treated like crap just ask the AFL and NRL. Okay, I can answer my own questions from below thanks to today’s Fin Review. WIN & Nine Perth have extended their affiliation contract with Nine until December 2015, with WIN paying 39% of ad revenue & Nine Perth on 45% (same as before in Perth). Apparently the higher fees were agreed by WIN in order to help Nine pay for the cricket, & WIN would only sell Nine Adelaide if Nine got the cricket. Some say the short affiliation contract is needed on both sides because they expect the 75% rule to be dumped by then, leaving WIN to either merge with TEN or Nine… Gee! Talk about complex! I live in WIN territory and I was hoping the debt addled Nine would sell itself to Bruce Gordon. This would hopefully convince the new company to take the horrible opaque WIN logos off their feeds. Stan is probably right in saying that Mr Gordon is likely to merge Ten and WIN. This transaction makes much more sense if that’s the case. @Armchair Analyst – you are funny! CA and the NRL didn’t consider how “badly” Ten has treated the least watched sports (and in the case of basketball IMO, most boring) sports in Australia when they negotiated these deals. They went to the team who could deliver them the most cash, pure and simple. In both cases it just happened to be Nine because of a clause that always gives them last bids in rights to sports they currently own. It is about the cash… not how well a sport is “treated”. When i heard this on the news yesterday i was somewhat shocked. i thought that the Hedge Funds would not have alowed this. I agree that this is a Win Win for Bruce Gordon because he had benefited on both sides. Network Ten has the BBL and he sold Win Adelaide to Nine. I found out three weeks ago via Wikipedia that the IPL has a new FTA home on Seven, probably paid little for it too, contract starts next year. The fact that Nine barely retained the Cricket Australia Domestic International tv rights and Rugby League doesnt escape the fact that Network Ten has had a pretty bad 12 months of negotiations when it comes to Sports rights. Last year they lost out to the NRL rights, FFA rights and now only parly got the Cricket Australia rights (although probably good in the long run). I believe the way TEN treated Netball and Basketball didnt do them any good. TEN’s reputation as a sports broadcasting network has gone to the toilet, and that stench is haunting the network. I am very sure that Tennis Australia will be taking that into acount just like Cricket Australia and NRL did, when negotiating there broadcast rights. It’s often said that Kerry Packer tried to break Ch7 by bidding $780m for the AFL rights. Sounds like Ch10 have done a similar thing to Ch9, except they got what they wanted for half (BBL) and made Ch9 pay full value (or over the odds) for the rest. The real hero here is David Gyngell. What a remarkable recent six months he has had. No doubt, he has endured some sleepless nights, but credit where credit is due. He almost single-handedly saved the Nine Network, and has now saved their long association with cricket, in addition to acquiring Nine Adelaide and, soon, Nine Perth. Astonishing achievement. It really is. I can’t see FOX Sports being too happy about losing BBL especially with the tech they launched last season (e.g. pitcher mics). But great pick by TEN, especially given its in Summer ratings so they have an actual excuse for not airing new TV episodes. However, it will be interesting to see if all games are live, whether they will be shown live across the country by splitting it across TEN and ONE, etc. I think viewers might end up losing out on this deal. The Big Bash being on FTA is nice but when it rates badly for ten its going to make them look silly. This is not good. I fear the day when Nine is the dominant network and every show, sport, schedule, etc. is controlled by them. TEN you should have bid 600mil … should have made them sweat for it!!! Dunno why “Australia’s Sports Leader” didn’t fight harder for the BBL. Hoping Flem & Co get the commentaries (with maybe Quarters and Rob Waters but pls not Mark Howard). I assume the Fox guys will share with Ten to keep covering the Ryobi Cup & Inside Cricket on Fox? Well there goes any chances of (a) HD coverage or (b) live Twenty20 internationals in Brisbane (which are usually on an hour delay for the news and TBBT). I wish Ten nabbed the rights from Nine.